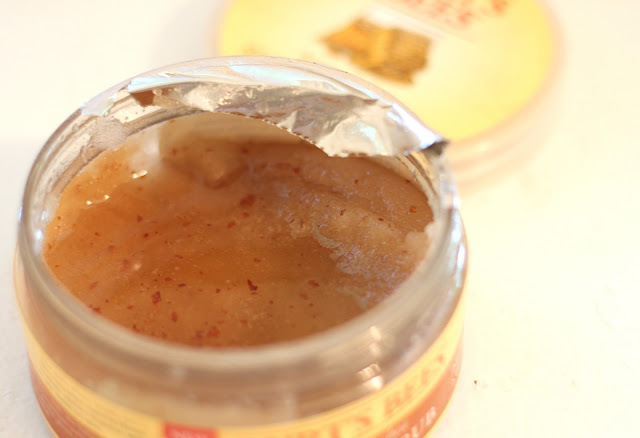 I have been looking for a cheaper alternative to the Fresh Brown Sugar Body Scrub, which smells heavenly and softens the skin like no other product, and which is ridiculously expensive ($60). 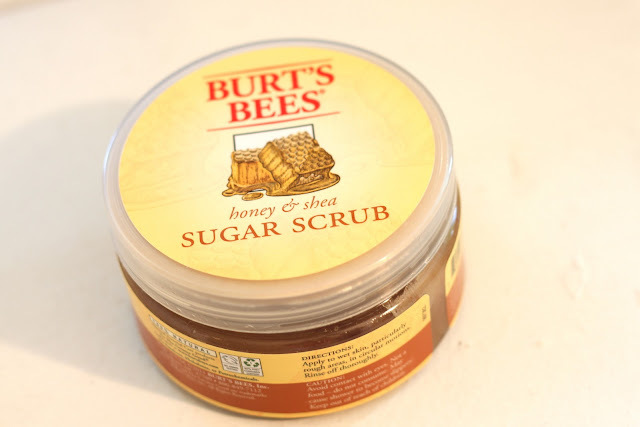 And I knew that such smell won't be found in a drug store product, but could not help when I saw the Burt's Bees Honey&Shea Sugar Scrub at Target with the $10 sign beside it. 1- Scrubbing wise, it scrubs well. The particles are small and not abrasive, but still do the job. 2- The consistency of it and the density of the scrubbing particles are perfect. 1- The smell is not my cup of tea. It smells nutty and sweet, and I love nutty smells that are balanced well and smell more natural, but this one is not to my taste at all. I am too precise when it comes to scents, and I don't know if I am too precise this time but I find the oils smelling like as if they are kept out in the sun for a while until it started to smell expired. That is why I use it before shampooing my body. 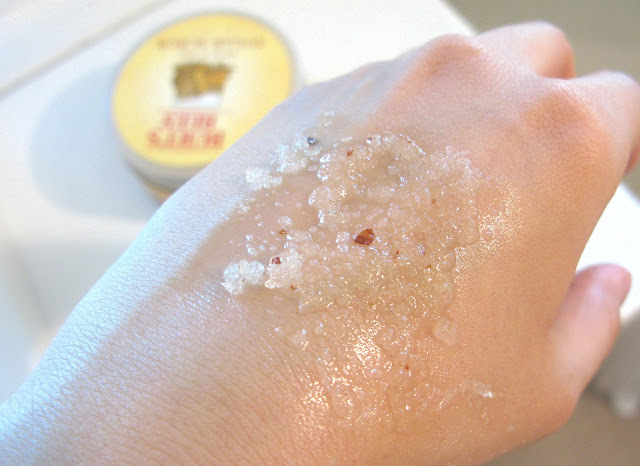 Actually, when I first used it I thought it was too greasy, but then I realized that the oils are separated and that I have to mix it with my finger. It turns out fine. Overall, this is a good body scrub, considering the price and the way it scrubs. I would buy it again only if there is another scent that I like. Disclaimer: This post is NOT sponsored. I wrote my honest opinion of a product that I purchased with my own money. Oh this looks great! I wonder if I will like the smell. When I read the reviews about it on the internet a lot of people like it and did not complain about the smell. I am just picky... so you might like it as well. $60 is far too much for a scrub, this is definitely more affordable! It is too much, even for the great quality and heavenly smell still too much.